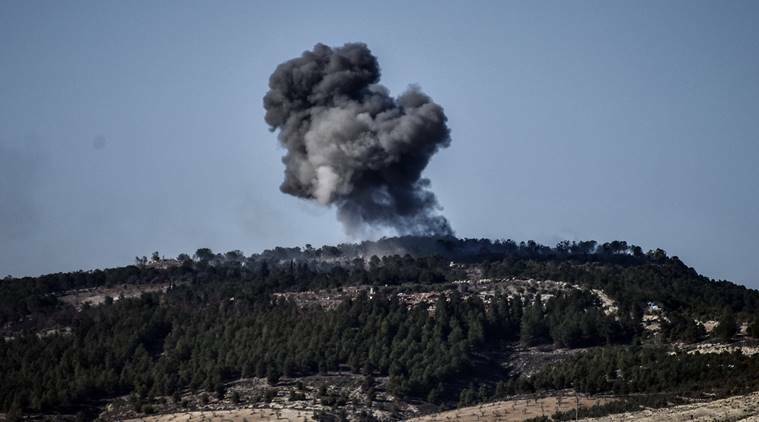 The opposition-run Syrian Civil Defence, also known as White Helmets, said the blast occurred Sunday in the village of Sarmada near the Turkish border and "killed and wounded dozens". Beirut: Syrian opposition activists said an explosion in the country’s north has killed at least 18 people and wounded many others. The cause of the blast wasn’t immediately known. The opposition-run Syrian Civil Defence, also known as White Helmets, said the blast occurred Sunday in the village of Sarmada near the Turkish border and “killed and wounded dozens”. Due to the explosion, a five-story building collapsed, burying many of the victims. The Britain-based Syrian Observatory for Human Rights put the death toll at 18. It’s unclear if the casualties are all civilians. The Observatory said an arms depot in the basement of a building had detonated. The depot was run by an arms dealer close to the al-Qaida-linked Levant Liberation Committee, it added. Login or Register for Free to add comments!